Jalapeño Popper Egg Muffins are an easy make ahead breakfast for on-the-go made with cheese, bacon and jalapeno peppers. Packed with protein, low carb and keto friendly. A healthy twist on the classic appetizer and perfect for busy school or work mornings. 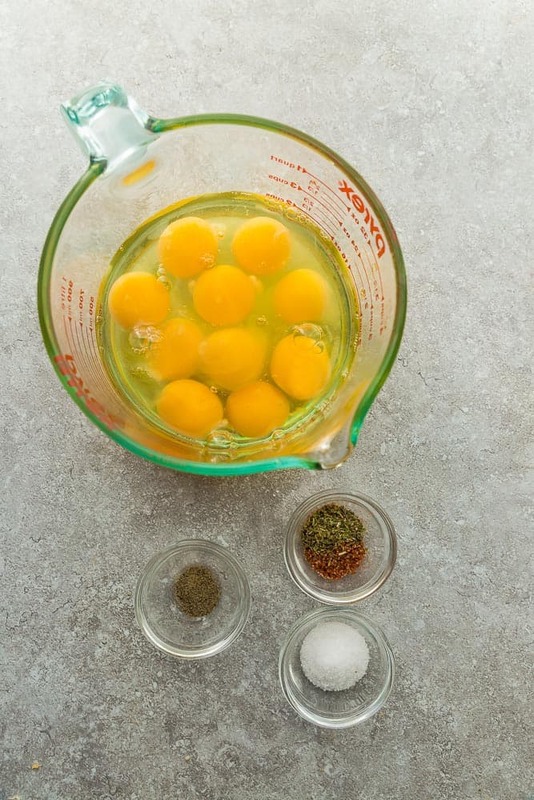 With all the egg recipes we have on our site, you guys KNOW that eggs are a big favorite at our house. 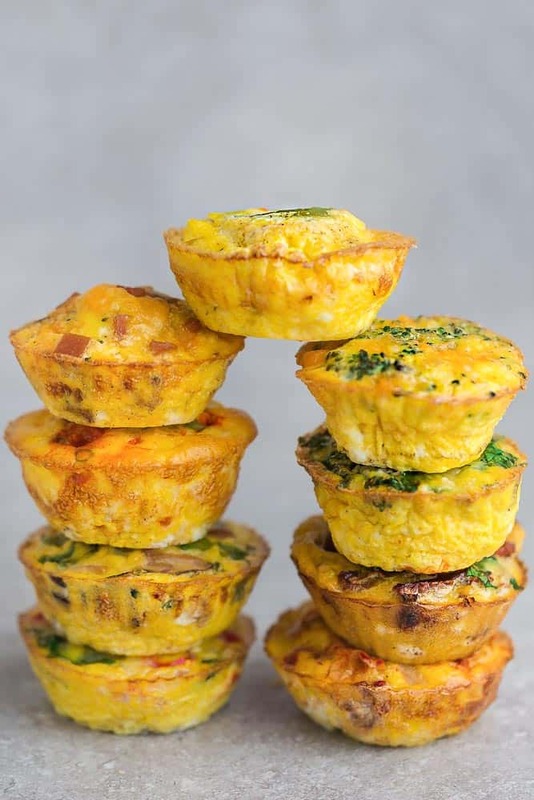 Hard boiled eggs, baked eggs, sunny-side up eggs, Frittatas, egg casseroles and of course, these viral Breakfast Egg Muffins that were Pinterest’s top 2018 most pinned egg recipe according to the Today Show and Cooking Light. 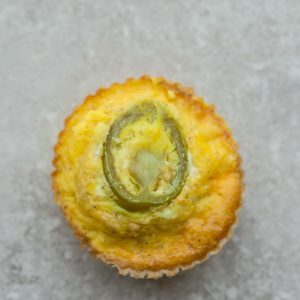 I’ve been slowly trying to give each of the egg muffins their own recipe posts and these Jalapeno Popper Egg Muffins would be perfect for spring. 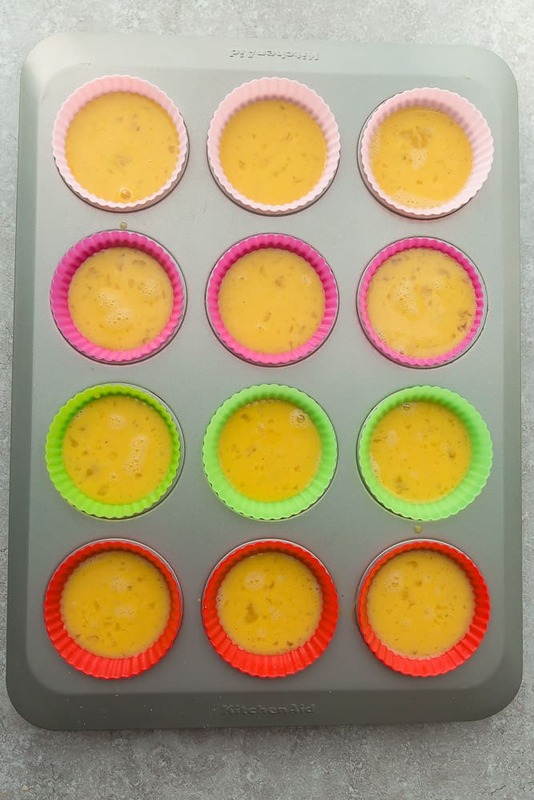 Egg muffins are scrambled eggs that you bake in muffin tins. 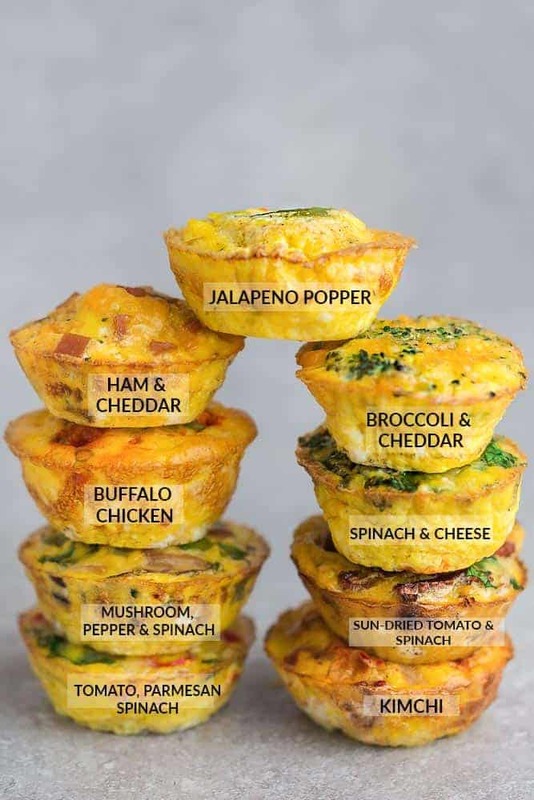 They are sort of like portable mini frittatas that you can customize with various add-ins and toppings. They take less than 10 minutes to prep and are full of protein and vitamins. Plus, they make a delicious make-ahead breakfast that you can quickly reheat on those busy mornings. 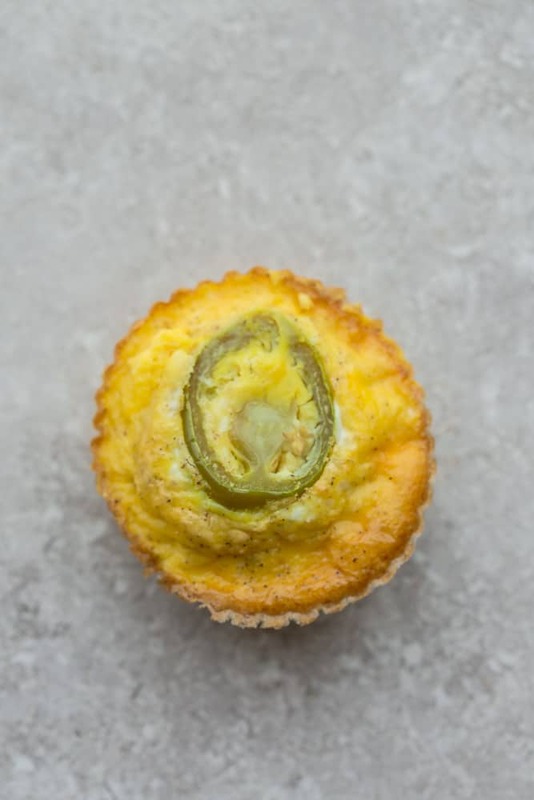 What I love about these Jalapeno Popper Breakfast Egg Muffins is that they are the perfect bite-sized breakfast that you can grab on the go. Plus, they are super versatile and perfect to keep on hand in your fridge or freezer throughout the week. And the best part? 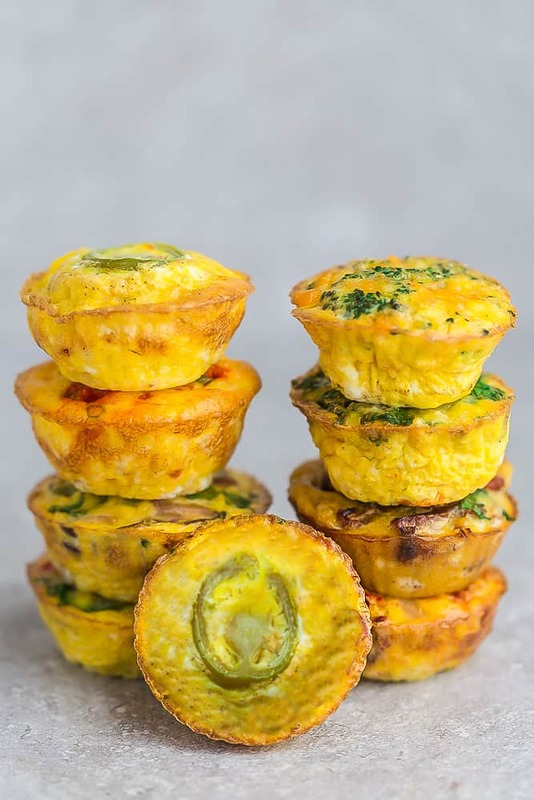 These Keto Jalapeno Egg Muffins are full of protein and super easy to customize. They are naturally gluten free, paleo and low carb. Jalapeño Popper Egg Cups are an easy make ahead breakfast for on-the-go made with cheese, bacon and jalapeno peppers. Packed with protein, low carb and keto friendly. A healthy twist on the classic appetizer and perfect for busy school or work mornings. Love these! Jalapeno poppers are our Fave! These were delicious! Thanks for the great recipe!